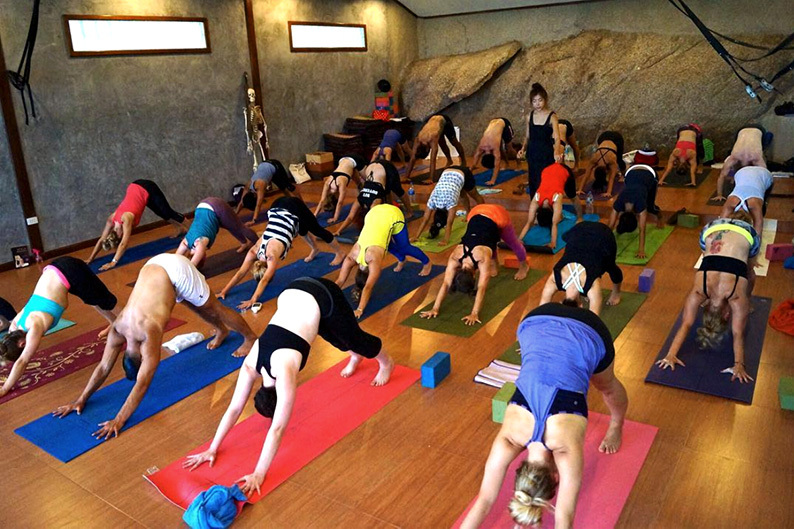 5 Main Reasons You Should Sign Up for an Ashtanga Vinyasa Yoga Teacher Training? 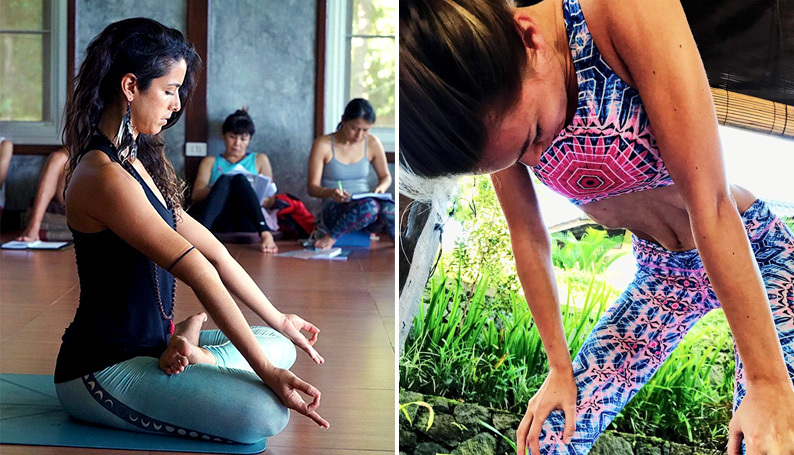 With the rise of the fitness trend and the yoga movement tagging along with it, more and more yoga studios are opening all around the world. It seems like getting a certification as a yoga instructor is a no-brainer. But there are so many different kinds of yoga styles and yoga teacher training schools, which yoga teacher training should you pick? These are the 5 main reasons you should sign up for a 200hr Ashtanga Vinyasa Yoga Teacher Training. 1. You will acquire a deeper understanding of one of the most traditional forms of yoga. While indulging yourself in the knowledge of the asana, you will also be exposed to its history and how Ashtanga Yoga came about. Ashtanga Yoga was translated and reconstructed by whom was considered to many the grandfather of modern yoga, Krishnaramacharya, and his faithful disciple, Pattabhi Jois. They have spent several years referring to the ancient scripture written on a bundle of palm leaves called the Yoga Korunta. Doing an Ashtanga Vinyasa Yoga Teacher Training will provide you the sacred knowledge of this ancient sutra that not everyone has the privilege of receiving. 2. You will understand the importance of the knowledge on the 8 Limbs of Ashtanga Yoga. This is the foundation of what you need to know about yoga. Each step comes with dedication and patience. According to Ashtanga Yoga, reaching Samadhi is the ultimate stage where you will become one with the universe and receive deeper knowledge. Even though this might sound insane to you and might be practically impossible in this hectic world, the whole point of these 8 steps is to teach you to control your mind. That is the definition of Yoga – the restraint of the modifications of the mind stuff. These categories will enable you to understand the body linking to Indian psychology and why various yoga styles were born. Often, students attend a yoga teacher training and realise that teaching just the asana is not for them. That is when the knowledge of the 8 Limbs of Ashtanga Yoga comes in handy because the other 7 Limbs might just be areas you want to expand your expertise in. 3. The fixed sequence will help you in planning how to sequence a flow class. Learning a fixed sequence gives you a foundation to refer to when you want to sequence your flow classes. Astanga Vinyasa is structured in a way that the body is warmed up and prepared for challenging poses in the second half of the sequence. Ashtanga Vinyasa is also a dynamic practice and can be modified into other dynamic yoga styles such as Vinyasa and Rocket. Doing a yoga teacher training that specialises in Ashtanga Vinyasa grants you the liberty of teaching various dynamic yoga styles which will increase your chances of teaching more classes. Whether you decide to be a yoga teacher in a fixed yoga studio or freelance, the art of sequencing is an important and useful skill to have. 4. It will strengthen your physical practice. In the Ashtanga Vinyasa system, the asanas are executed in a certain procedure which aid the body in an intelligent and scientific way. Each pose is supposed to prepare the body for the next pose to come and every single one of them has specific health benefits. When they all merge into a flowing sequence, it results in detoxification and realignment of the body and nervous system. Practising Ashtanga Vinyasa will develop your physical and mental strength, flexibility and improve your general health and well-being. You will also learn alignment which is a controversial topic. Some believe that it is not important as one should not be so uptight and practice self-love in yoga. Others believe in the specifications of alignment such as how your legs should be when sitting crossed legged, standing in Tadasana etc. We believe that proper alignment still needs to be practised to prevent injuries in the long run. Those injuries normally stick with you forever and it is not going to be fun. 5. It may help you discover your interest in other yoga styles. Practising with a fixed sequence can sometimes be a little monotonous after a while. This is the time where you may look around for other yoga styles to upgrade your yoga knowledge. That is why during the Ashtanga Yoga Teacher Training, we will expose you to other yoga styles such as Rocket, Yin, Vinyasa etc. Trying various yoga styles will develop your understanding of the body mechanics and it will definitely help you in sequencing your yoga classes better. With a deeper knowledge, you will have the wisdom of creating and updating your yoga classes frequently as well as adjusting your students naturally. This is very important for retaining your students. These are just some of the benefits of doing an Ashtanga Vinyasa Yoga Teacher Training. More awaits when you experience it first-hand yourself. So what are you waiting for? Sign up for the 200HR Ashtanga Vinyasa Yoga Teacher Training today!